Michael joined Baron in 2004 as a research analyst and has 16 years of research experience. 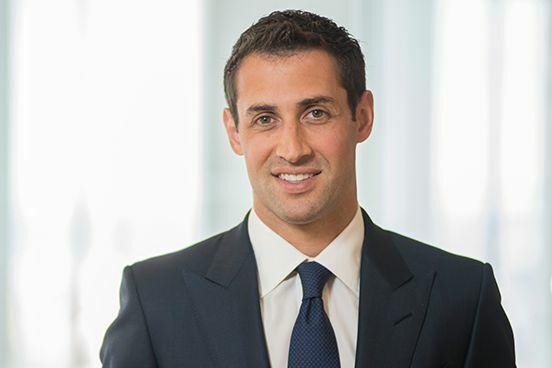 He was named co-portfolio manager of Baron Partners Fund in 2018, and is the assistant portfolio manager of Baron WealthBuilder Fund. From 2003 to 2004, Michael worked at Glenhill Capital as a research analyst. Michael graduated from Duke University with a B.A. in Economics in 2003 and from the Wharton School of the University of Pennsylvania with an M.B.A. in 2010. In "The Journal Report," The Wall Street Journal's monthly review of mutual funds and ETFs, seven Baron funds ranked among the top performing funds in their respective peer groups for year-to-date total return through January 31, according to Lipper. View the full list at www.wsj.com. Among the funds listed were Baron Real Estate Fund (#1 in its category), Baron Real Estate Income Fund, Baron Partners Fund, Baron Asset Fund, Baron Fifth Avenue Growth Fund, Baron Opportunity Fund, and Baron Global Advantage Fund.